It comes with 5g of product and a puff for application. 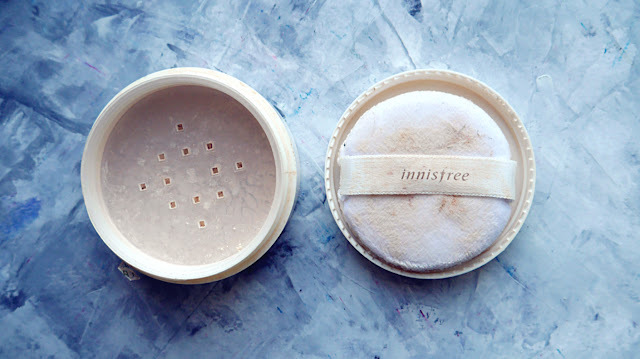 The size makes it travel friendly; this is now a makeup essential I carry around everywhere! 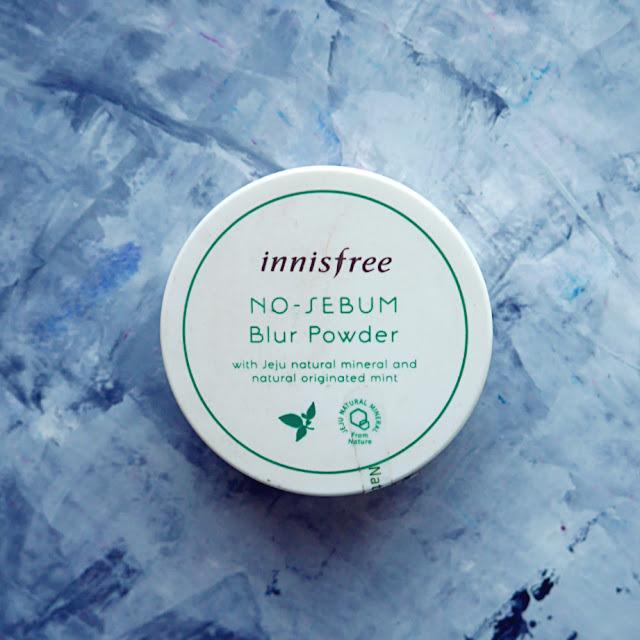 The powder has lovely minty calming scent~ Fine and soft powder, very gentle on the skin. 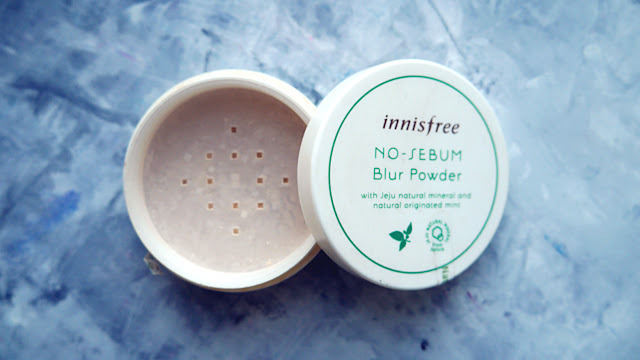 It's tinted with a natural skin tone colour, it only comes in one shade but should accommodate a range of skin tones as the shade is light and translucent. 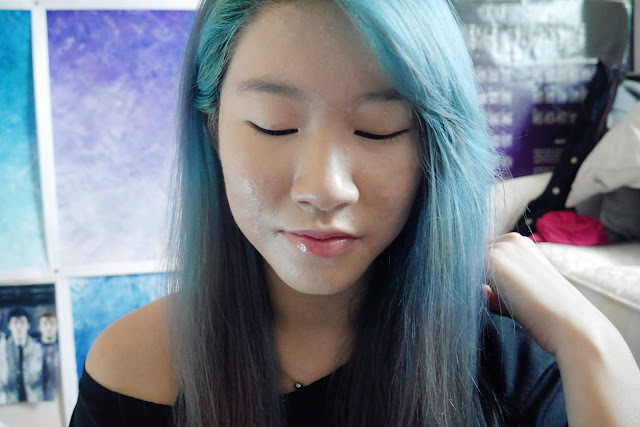 The tint makes my skin appear slightly brighter too. 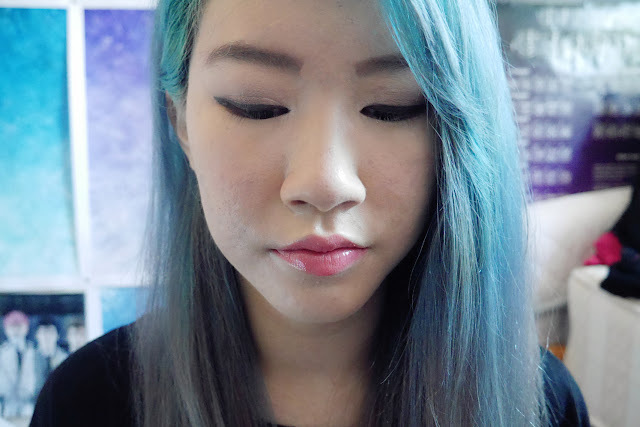 Starting off with already applied BB cream~ I didn't use a base/primer so that you could see the effects. I prefer to use a brush instead of the puff given. 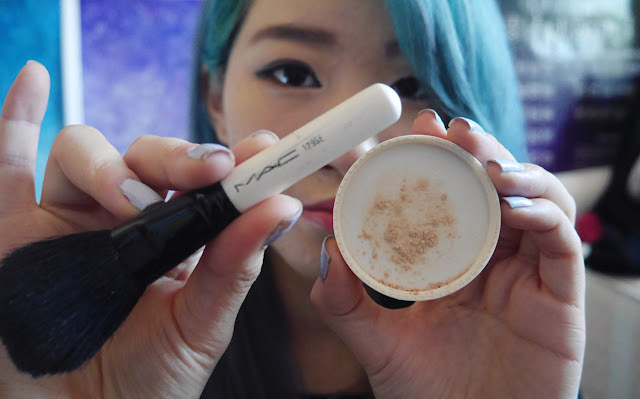 I simply shake the powder into the cap, pat my MAC powder brush on the dispensed product and then swipe to apply and set my makeup. Following u dear, thanks for yout lovely visit!! Wao, I love how it can be suitable for a wide range of skin colors!!! !